An amazing video concept that could have taken the chance to promote both their localities but instead, it's coupled with a whimsical dress code in a village-environment!What were they even thinking bruh? Never mind, in their mind, it's a village-life shoot and everyone will get it. 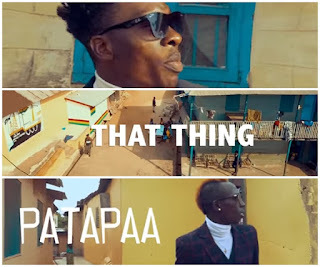 Well, sorry, Samcilla doesn't see the creativity here except that it's just the life Patapa is famously known to be living that's mostly expressed in the video while Article Wan took the time to shine-glory on his singing prowess allowing the vibe to keep you on your toes.